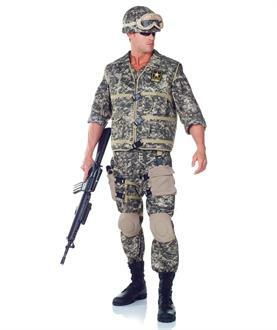 This costume includes jumpsuit, vest, holster, pouch, knee pads, and helmet with cover. Does not include goggles, glasses, toy weapons, or boots. This is an officially licensed U.S. Army costume.